We’re finishing up hurricane-proofing this summer by finally replacing all the exterior entries with impact-rated doors. We had our impact windows installed back in 2008, and replaced the overhead garage door in 2015, but last year’s close call with Hurricane Irma reminded us we still needed to replace the doors. Since we’re getting new doors, we also need to get new door hardware! 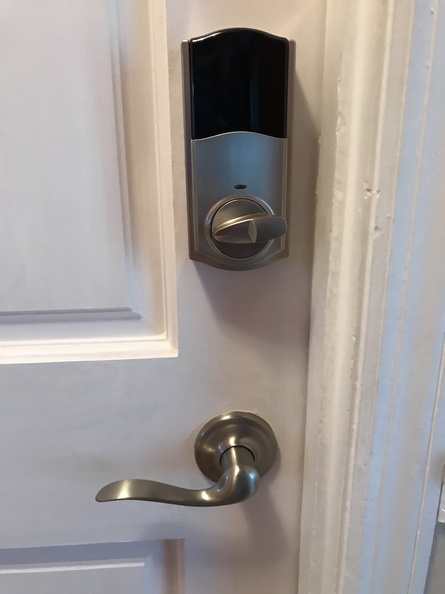 There’s a wide variety of electronic and automation-enabled deadbolts and locks on the market now-a-days: I decided to expand my Z-Wave/ADT Pulse automation network by installing the Kwikset 916 Touchscreen Electronic Deadbolt. The Kwikset 916 comes in several finishes (and separate versions for Z-Wave and Zigbee, so purchase carefully!). I also opted for the regular Z-Wave model, not Z-Wave Plus (which cost $90 more and I don’t have a Z-Wave Plus router anyway). 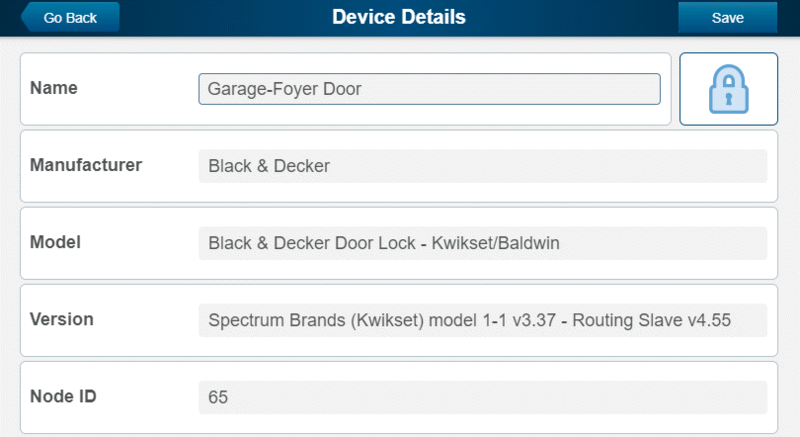 If you don’t need the home automation features and just want an electronic touchscreen deadbolt, the Kwikset 915 is the same thing without Z-Wave/Zigbee. 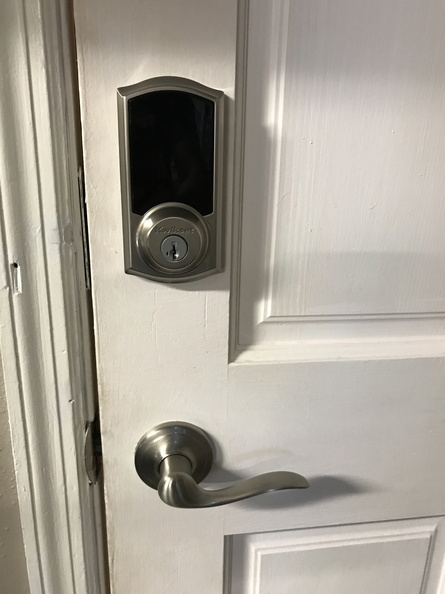 Installation is straightforward and pretty much like any other deadbolt replacement installation. The only real difference is the small cable that runs from the outer touchscreen, through the door, and connects to the interior battery pack. 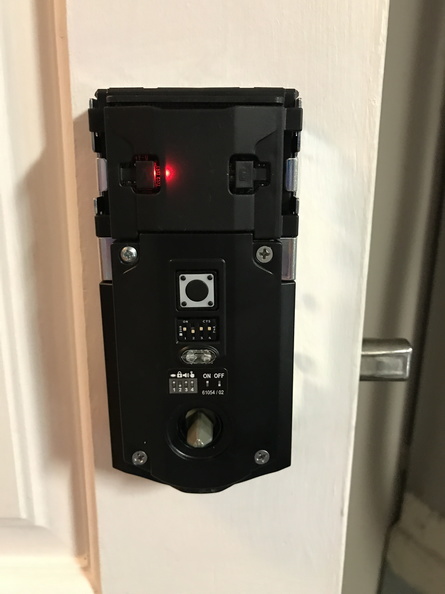 Once you’ve got both sides attached to the door, you insert the battery pack (4 AAs) and let the lock perform the door handling procedure (basically an initialization). Next it’s time for programming. Under the interior faceplate are four toggle switches and three buttons. The switches let you configure some high level options like the LED (to show the lock status), sound (beeps from the touchscreen, alarm after mis-entered codes), auto-lock (the door re-locks 30 seconds after it’s unlocked), and SecureScreen (display two random digits on the touchscreen before you can enter your code to spread out fingerprints). The A and B buttons are for Z-Wave pairing (one to add the lock to your Z-Wave mesh, and one to remove it ). On the ADT Pulse web site, I added a new device to put the hub in pairing mode, then pressed the A button on the lock. A few seconds later, the lock was paired, appeared on the web site (and mobile app), and I was able to remotely lock and unlock it. Unfortunately, you can’t do the code programming through Pulse. For that, you have to press the “program” button and then use the touchscreen to enter up to 30 user codes (ranging from 4 to 8 digits). Additionally, creating a master code ensures that other codes can’t be added or deleted without first entering the master code (so someone doesn’t just pop off the faceplate and erase all the codes or add a new one without your knowledge). Once you’re done with the programming you screw on the interior faceplate (with a specially-shaped allen wrench, so put it somewhere safe!) and the lock is ready to use. the locking mechanism motor is noisy. 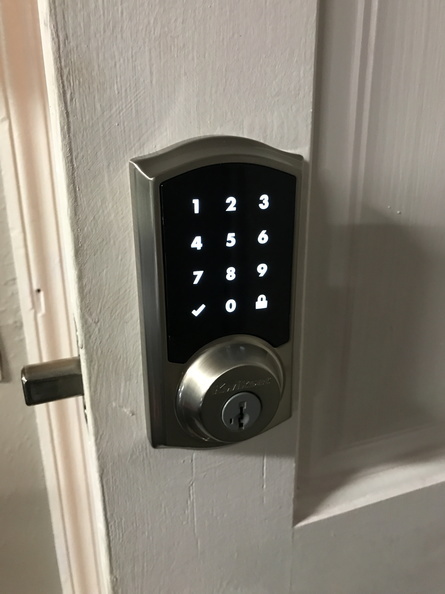 the touchscreen isn’t always responsive, which can be frustrating when trying to wake it up or press the numbers to enter your unlock code (so it may be more convenient than having to have a key, but it’s not faster). the user code number used to unlock the door does appear in the logs in Pulse (see the attached screenshot below) but you can’t assign a friendly name so if you have multiple codes you have to just know that code #1 is the family code, code #2 is the housekeeper, etc. As long as you don’t have a ton of codes (i.e., this is a personal lock and not something at a business) this shouldn’t be a big problem. 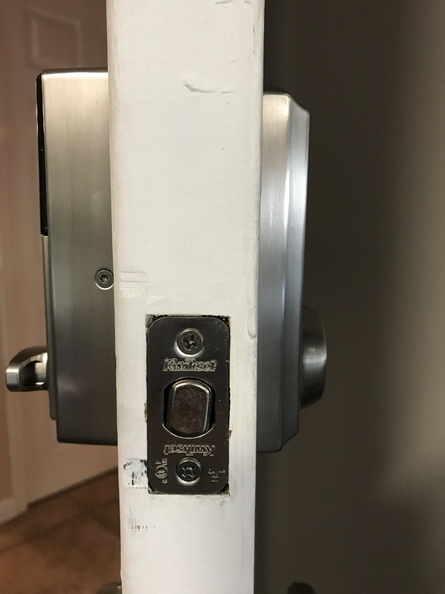 the lock has Kwikset’s SmartKey Security technology so you can re-key the lock to your existing keys if you want (I haven’t done this yet, but will update this post once I have a chance to try it). options for “scheduling” user codes, like being able to set a temporary code (for a few days while we have company), or a recurring code (for example one that only works on Fridays between noon and 3pm). the ability to manage user codes through the Pulse portal or mobile app. 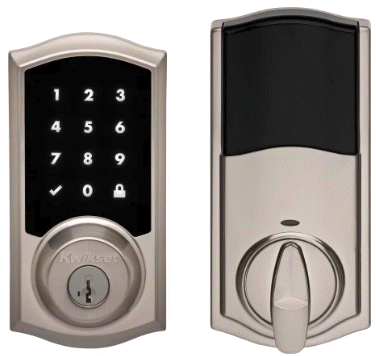 You can find more documentation and spec sheets on the Kwikset 916 Touchscreen Electronic Deadbolt here.